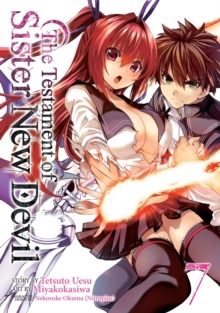 The Testament of Sister New Devil is an ongoing manga series based on a bestselling series of light novels of the same name. 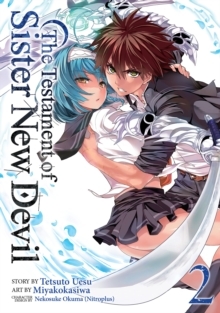 Combining action and comedy with the supernatural genre, The Testament of Sister New Devil is a high octane romp about a high school boy and his two succubi step-sisters, that will appeal to fans of manga series like High School DxD and Dragonar Academy. 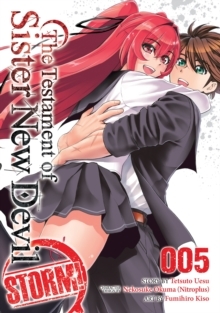 The Testament of Sister New Devil has spawned an anime adaptation, which has been licensed for home video by Funimation, and will also receive a second animated season in late 2015. When his oddball father suddenly decides to remarry, high school student Toujo Basara is about to acquire some very peculiar new family members. Enter his new seductive step-sisters, Mio and Maria. When Basara discovers that one of his step-sisters is a succubus, and his other a recently crowned demon lord, all hell breaks loose! Basara is almost forced into a contract with his demonic sisters where he would act as their eternal servant - but something goes wrong. Instead, a reverse contract is formed, and Basara becomes the master. Between fending off their seductive advances and coping with the attacks of rival demon contractors, Basara has a big learning curve if he is to survive.